Things have been super busy over here in Cochabamba! It’s always fun to write updates because it gives me the opportunity to sit and think back over what we’ve been working on, and I never get sick of the feeling of pride and excitement to realize that we continue growing and making a difference in the lives of our young people every single day. teenagers in their homes to prepare them for adulthood. In this first program, we have had 67 staff participate from approximately 30 homes in Cochabamba, and 40 staff participated in La Paz. As I write this update I am literally sitting in an auditorium where a group of the students who participated in this course are about to present their final work and make a commitment to delivering the program in the homes they work in with the teenagers they work with. 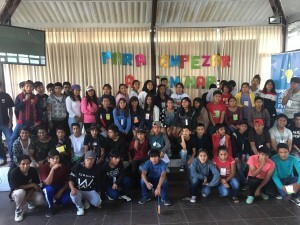 We hope to run this program yearly and eventually deliver it to staff from all the homes in Bolivia. 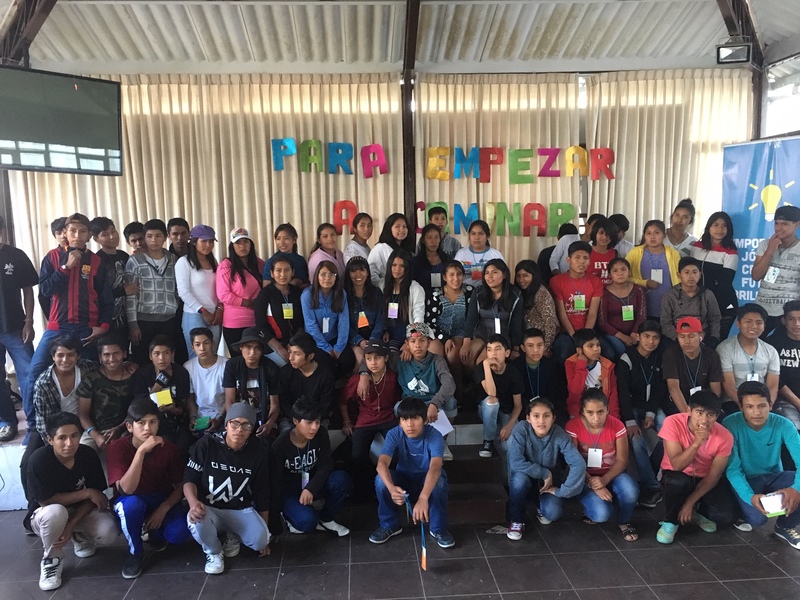 Aside from this program, we continue to run our workshop program with teenagers from 17 different homes in Cochabamba, with approximately 160 teenagers. We recently held one of our biannual activities with all the participants from this program, bringing them all together to spend a day getting to know each other, hearing stories from adult care leavers who inspired them to keep dreaming and creating their own dreams. It was a really fun day and it’s always exciting to see these amazing teenagers coming out of their shells and making new friends. Our Project Coordinator Isela and I travelled to Santa Cruz recently to deliver training to staff from the various children’s homes run by Projecto Don Bosco, to assist them in developing holistic strategies and models to better prepare their adolescents for transitioning into independence upon leaving their homes. Our residency program is going well, with 5 residents currently. They are all working and studying, and keeping the house nice and tidy! We have a new volunteer companion living with them, Vanesa, who is a young 21-year-old care leaver who is studying Social Work, she is extremely responsible and a great role model for the young people. 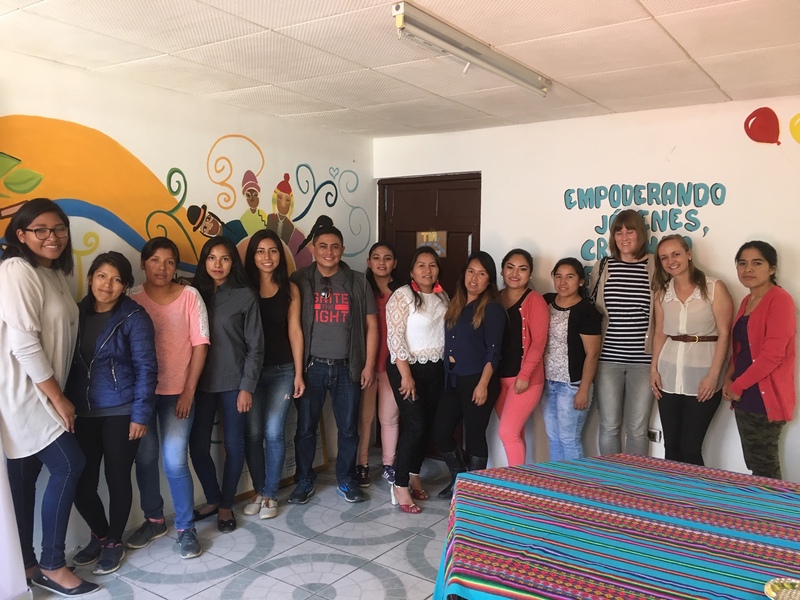 We are also about to begin a big research project looking at the situation for young people leaving care across the four major cities in Bolivia; Cochabamba, La Paz, El Alto and Santa Cruz. 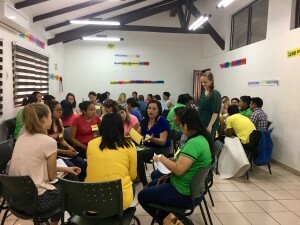 We are conducting this research project through the institutional network that TIA created last year, RIBAAJEP, in partnership with the Universidad Catolica Boliviana (Catholic Bolivian University) with their Social Behaviour Research Institute. We are extremely excited about this research because it will give us concrete information to further understand the needs of young care leavers, and also to work more closely with the government to try to create positive change in the care system to better support young people in their transition out of care. Finally, we have been extremely lucky to be selected to receive a grant from DFAT through one of their programs called the Direct Aid Program, which provides grants to projects around the world funded from Australia’s aid budget. They aim to work with local communities in developing countries on projects that reduce poverty and achieve sustainable development consistent with Australia&#39;s national interest. TIA is one of a small number of local organisations in Bolivia and Peru that have been selected through the Australian Embassy in Lima, Peru, to receive one of these grants. So, as the year is coming to an end we are feeling extremely excited for the year to come for TIA. Thank you for joining us along the way and helping TIA to make real, tangible change in the lives of these amazing young people.